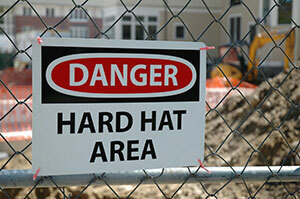 On February 28, 2013 the Occupational Safety and Health Administration (OSHA) announced that it will hold a special meeting of its Advisory Committee on Construction Safety and Health (ACCSH) in Washington, D.C. on March 18, 2013 to consider updating existing safety sign standards in the construction industry. The ACCSH, which provides guidance to the secretary of labor and assistant secretary of labor for occupational safety and health on construction policy and standards, will review proposed amendments to OSHA’s standard regarding hazard signs and accident prevention safety tags on construction sites. The standard requires signs and symbols to be visible to workers at all times to alert them of the dangers present on the jobsite. The proposed updates to the standard are based on changes in the American National Standards Institute (ANSI) consensus standards. During the meeting, ASCCH will also consider revisions and corrections proposed for OSHA’s Cranes and Derricks standards. Reduce injuries on construction sites by posting signs and tags to alert workers of hazards, provide proper safety supplies, and train employees about accident prevention techniques.